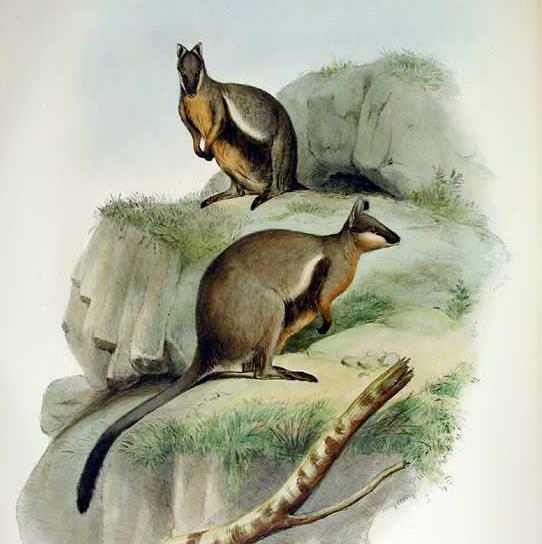 The warru, or black-footed rock-wallaby (Petrogale lateralis MacDonnell Ranges race), is now one of the South Australia’s most endangered species, continuing to decline dramatically over the last 80 years. The decline, considered to be a sign of ecosystem dysfunction in the central Australian ranges, is documented by researchers from the University of Adelaide’s School of Earth and Environmental Sciences in the recently published journal ‘Bringing back warru: initiation and implementation of the South Australian Warru Recovery Plan‘. The journal also outlines the plan for both the development of the Warru Recovery Team and the development of the objectives and actions of the Warru Recovery Plan, and what the researchers believe is integral to achieving these outcomes. This entry was posted in News, Publications and tagged ecosystem, petrogale lateralis, Warru, Warru Recovery. Bookmark the permalink.